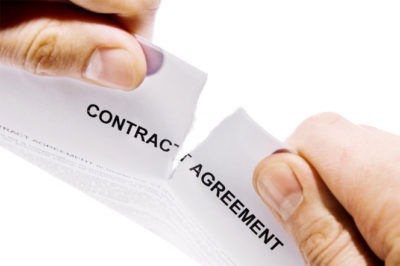 Breach of Contract between employees and employers is something which occurs for a myriad of reasons. This can be something as simple as your employer breaking the fundamental trust implied in the contract, or perhaps something more obvious as not paying your wages. In any case, an employee may claim that there is a breach of contract, whether it is implied or expressly written. The first step to be taken is to speak to your employer and discuss how you feel. Many times these situations can be resolved by correcting a simple misunderstanding. If this does not work or you feel it is inappropriate to do so given the nature of the situation, then most likely you will need to make a formal grievance letter and wait for a response. The Court or Tribunal will look at the steps you took to resolve the situation. The more thorough you are to resolve the Breach of Contract Law before taking the next step and making a claim, the better chances your claim has of success. Employment contracts are often complex and difficult to understand. It is important to seek legal advice to make sure that you fully understand how they affect you and your employment. At Bloomsbury Law, we have years of experience in the field to offer you expert advice. We understand that your employment can directly affect your livelihood and we respect your time in dealing with these matters as quickly as possible.